Insurance or Superstition – What Will Save You Money? Anant, one of my close friend and an avid biker, comes from a family which is very religious and believes in everything that the Panditji says. He bought a used Ninja 300 and performed all the religious rituals as are mandated in our society. However, what he did not do was renew the lapsed two-wheeler insurance policy of the motorcycle simply because he says he was very occupied with his new job back then. This was a very small amount as compared to the overall cost of the motorcycle. Being a pious person, his motorcycle always wore Nimbu-Mirchi, as a sign of killing the evil and he was a very sensible rider, always confident of his abilities and believed that God (and that Nimbu Mirchi) will protect him from unfortunate accidents. Things were smooth until one day a car driver thought of crossing a highway without giving any signals whatsoever and Anant, on his Ninja, who was doing highway-speeds, crashed head-on and suffered multiple injuries. The car driver sped away and things happened so fast that nobody could jot down his registration number. Anant had a few fractures, multiple scars and a bruised body but being a true rider he was wearing a good quality helmet which saved his head (and probably his life!). Now comes the most painful part – the total cost of hospital bills was estimated to be Rs 1.5 lakhs whereas his motorcycle needed another Rs 50,000 to be back in running condition. And since he had no bike insurance, all of this had to be borne by him! He and his wife had kept some amount for his daughter’s school admission which had to be taken out in case of this emergency. Few months later, Anant recovered from his injuries and his motorcycle was also duly repaired but he still remembers the emotional and financial trauma of this accident. Because of this, his daughter had to continue for another year in the small time neighbourhood kindergarten! 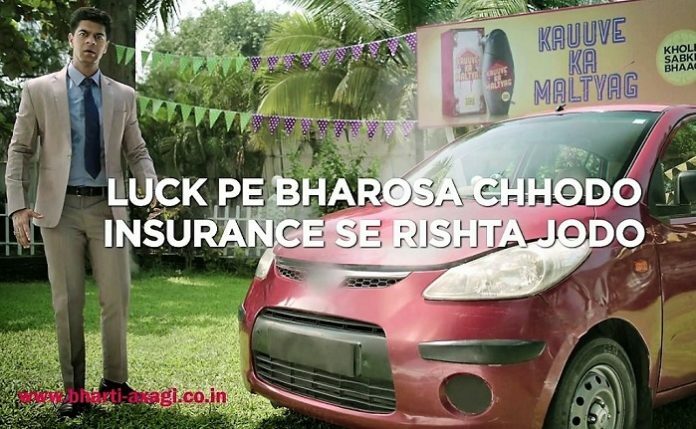 This is the story of majority of Indians, who, despite being educated and sane, think that intangible superstitions will protect them and there is no need of any kind of insurance – the most important aspect of owning a vehicle! As a necessary learning, Anant bought a comprehensive motorcycle insurance policy as soon as he was back on his feet and now advises everybody to do so. He also repents and says that if he had taken 15 minutes out of his tight schedule earlier, he would not have to rebuild his dreams from the scratch. That accident took Anant at least two years back financially! Understand, no amount of superstition or even self-confidence can save you from an unfortunate accident – because we can probably guarantee our riding style and control but what we just cannot predict is the next move of that car driver in front of us. Almost everybody is a potential killer on the prowl on our roads! But what we can certainly do is prepare for the worst – by insuring our motorcycles (and hence ourselves). It is a meagre amount when we consider the peace of mind it brings in. And with the advent of technology, you can simply buy an insurance policy within a few clicks, which, by the way, is legally binding for all vehicles. In Anant’s case, if he had insured his Ninja from day one, his daughter probably would have been in a new bigger school and with the remaining savings, his family could have gone for that vacation which they were planning for a long time. Anant will have to save again for many months just to have enough cash to get to the same level at which he was before the accident. There is nothing wrong in being religious but let us not allow superstitions blind our eyes from tangible protection. Anyone – you or me, can be a victim at any point of time of an unforeseen mishap. If it is written it will happen but we can certainly be smart enough to prepare for such an event. On a lighter note, here is a comic representation of why you should not leave it to luck!